Created my first custom theme from scratch and I’m trying to do a listing of all posts with the same tag. In tag.php I display all posts with that specific tag via a WP_Query and I’m trying to implement the pagination for that listing (using paginate_links() ). Page links seem to be outputted correctly. Also the first page looks good. 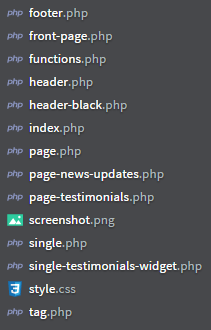 What I don’t understand is that when I go on the next tag page (or to any of the page links outputted in my tag.php; eg. http://127.0.0.1/wp_site/tag/test_tag/page/2/ ) the content from index.php is displayed. What am I actually missing for displaying the subsequent tag pages correctly? Show parent subcategory sidebar on third level subcategories?